(Fairfax County, VA – August 31, 2017) — The Police Benevolent Foundation (PBF) and the Virginia Division of the Southern States PBA would like to express their deepest sympathy and compassion to the family, friends and fellow law enforcement officers of Fairfax County Detective Paul “Tony” Basham. 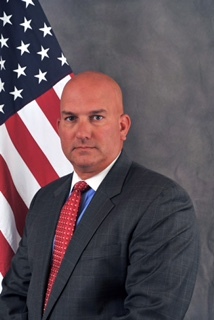 Detective Basham was assigned to the Criminal Investigation Section of the McLean District Station and was a 20+ year veteran of the Fairfax County Police Department. He is survived by his wife, two young children, and sister who is also a police officer. All donations made to this memorial fund are tax-deductible, and 100% of the money will go to Detective Basham’s family. The PBF is asking everyone to please pass this information along to friends and family. Detective Basham’s family will need all of us to rally behind them in these hard times. It is with a heavy heart that the PBF and VAPBA now ask for the help of the community, both locally and nationally, to aid in efforts to provide much-needed support for Detective Basham’s family during this time of distress.